Don't forget to go here and enter to win The Voice & Angel of Wrath, two amzing novels! The deadline to enter is 4/16, so hurry up and enter! 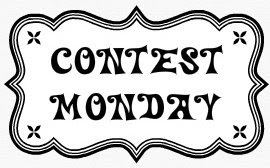 Then click the button above to check out all the great giveaways at Contest Monday on MomDot.